On the cobbled roads of Kala Ghoda, a small art shop called DayDREAM has opened up just a few days ago hoping that it brings art closer to us. 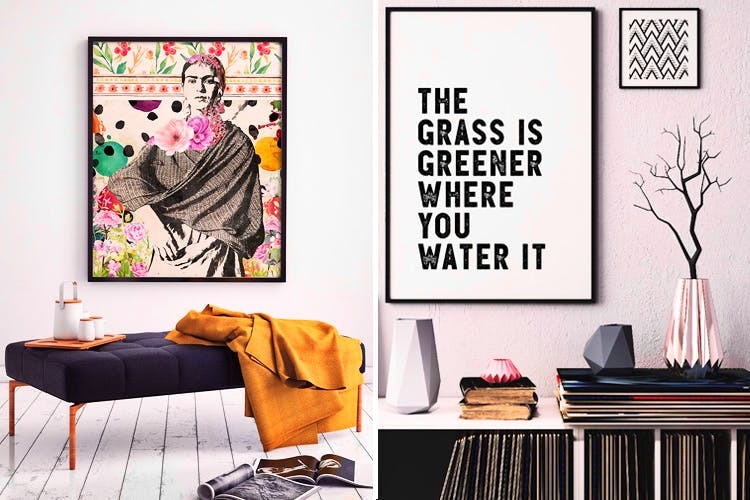 Started by photographers Prasad Naik and Manish Mansinh, the doors claim it to be an ‘art takeaway’ joint, where you walk in, pick up an easy, affordable frame and put it up in your home. You will find here photographs of city landscapes, pop culture prints of Frida Kahlo, Bob Marley, and some colourful, vibrant portraits as well. If you’re the sort who likes to hang up frames of motivation on your wall, you will find a variety of inspirational quotes here to pick up as well. We love the idea of there being another art joint to go to. We may pop by after a meal at Nutcracker on a lazy Sunday. Daydream is open from Mon–Sun, noon–8pm.